1. Voucher value: Today's voucher is valid for CHF 600, CHF 1200 credit, OR CHF 2400 credit (choose after pressing "Buy") for laser hair removal towards any body parts you choose. 2. 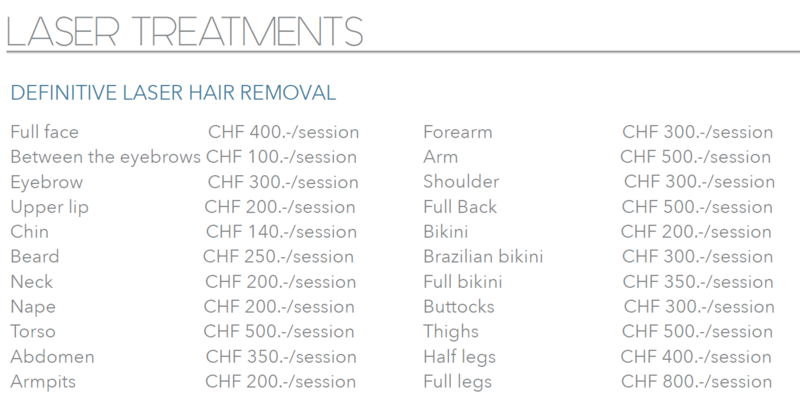 Price per session: typical prices are CHF 200 - 500 / session (see price list), depending on the body part you choose. Most people need 6-7 sessions for complete permanent hair removal. 3. 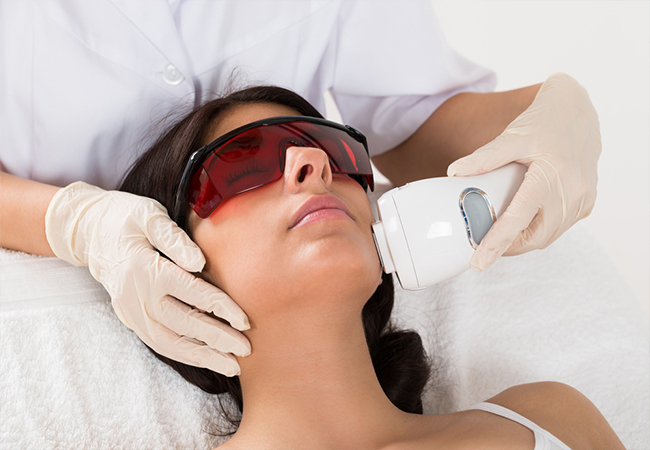 Top end clinic & latest technology: Aesthetics is among Geneva's most respected top-end Laser Treatment centres, managed by a highly qualified Doctor. The laser technology used is newest generation Alexandrite laser GentleLase Candela, proven as the most advanced and safest hair removal treatments for women and men. 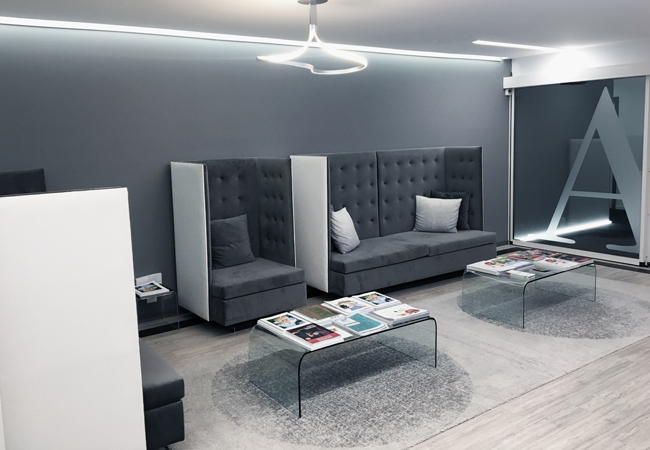 Aesthetics (in rue du Rhone next to Globus) focus on high-end laser hair removal treatments, aesthetic medicine & cosmetic surgery, using latest generation technology. They are one of Geneva's premier and most trusted clinics. First, one of the clinic's Doctors will meet you in person to understand your skin type and determine the best treatment. The treatment itself then uses latest generation Alexandrite laser GentleLase Candela technology: a laser beam is sent directly to the hair root to stop hair from growing back, while the surrounding area is cooled and protected. You can use the credit towards any body part. You also get a free 1st consultation session (CHF 150 value) with the Doctor when using your voucher. How many sessions? How often? You’ll see immediate results with each session, but most people need 6-7 sessions for complete permanent results. Each session takes around 20 minutes (but duration can vary). You’re advised to wait at least 4 weeks between each session. Avoid exposing the treated area to direct sunlight for 3 days after each session. There is no problem exposing the treated area if it's covered.